[email protected] Norma has raised the bar for exceptional customer service to all AEF members since 2011 in the role of Membership Coordinator. Her friendly, kind and warm voice is the one you hear whenever you call the office. 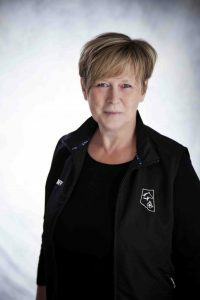 Norma’s fine eye for detail, professionalism and positive can-do attitude have been key in helping to grow the membership over the past few years. Norma’s an essential member of the AEF team; her organizational skills and providing support wherever needed allows the AEF team to focus and tackle new initiatives at an increasingly positive rate. Norma started part time with the AEF and fortunately for the rest of the team and the membership, she took on full time shortly after and now no one will let her leave! [email protected] Erin has dedicated herself to the role of Coaching Coordinator for the AEF and its membership since 2011. 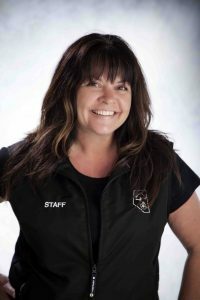 Considered a pioneer in her field, she has helped certify many instructors/coaches across the province, educate and spread awareness about Long Term Equestrian Development (LTED), as well as create and shape many new and existing AEF programs such as Ticket to Ride, Pump Up Your Levels, Canter Away Current, and Live Outside the Box. Erin has orchestrated many successful instructor/coaching events, and has taken initiative to provide opportunity for others across Canada to participate through online distance learning opportunities. 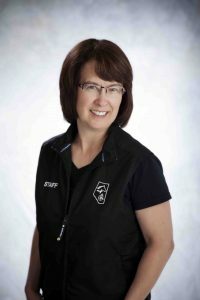 In 2012, Erin was the recipient of the Equestrian Canada Coaching Excellence Award for program administration as well as coaching leadership. Corresponding Provincial/Territorial equine sport organizations (PTSO’s) and many instructors/coaches across the country, appreciate Erin’s dedication, passion and hard work put towards improving the Equestrian Canada Instructor/Coaching programs in Alberta. 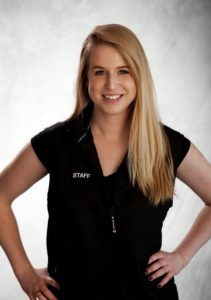 Erin’s caring personality, constant desire to assist others to succeed and passion toward doing the best job possible, make her an irreplaceable team member of the AEF. [email protected] Joining the AEF team in 2015 as the Business and Communications Coordinator, Ashley is dedicated to promoting and sharing the many benefits of AEF membership. With a background in marketing and event management, she strives to increase the AEF’s presence in the industry by working closely with each department to organize successful clinics, trade shows and programs while maintaining a consistent brand. Ashley is often seen out and about with the AEF booth all over the province. Her contagious smile and friendly demeanor is a warm and inviting welcome to team members and the public. 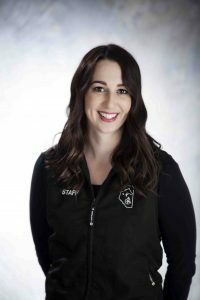 Ashley’s dedication to communicating with the Alberta equine community has greatly assisted in expanding the AEF’s membership reach (online and in person), in addition to increasing participation in AEF programs and events. [email protected] Rita has been a crucial player in the success and evolution of the AEF since May of 2007. When Rita started, she was the Membership Coordinator and Receptionist. Over the years, and with the tremendous growth of the organization, Rita has moved into the key role of Finance and Support. Rita helps to ensure the AEF is accountable to its membership through her financial analytical skills and exceptional attention to detail. As a full time dedicated mother, Rita reentered the work force when she started at the AEF and little does she know, she adopted the whole staff team as well! Everyone benefits from her support, often without knowing. Rita is extremely dedicated, organized, professional and diligent in her approach to working at the AEF. 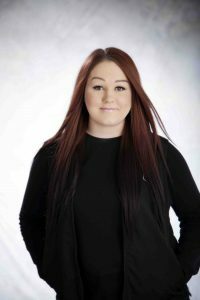 Always willing to lend a hand, Rita is well regarded by her peers for her attention to detail and cheerful assistance to members.